This week, we’re speaking with one Canada’s leading advertising lawyers, Catherine Bate, about truth, advertising and everything in between. Topics: children’s advertising and McDonald’s; deceptive pricing and Amazon Canada; and a prohibition on the expiration of loyalty reward points. 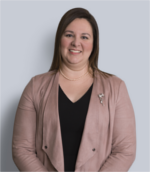 Catherine Bate is the Leader of the Marketing, Advertising & Product Compliance Group, and is recognized as one of Canada’s leading lawyers in the field. Cathy advises on all aspects of marketing, advertising and consumer product regulatory matters. From sweepstakes to price promotions, privacy to consumer protection, performance claims to product recalls, she helps multinational corporations and start-ups alike develop practical, effective solutions and compliance strategies. Cathy provides practical advice to help manage compliance obligations in light of rapidly evolving industry trends. Cathy advises clients on wide-ranging promotional and advertising activities, including promotional contests, games and sweepstakes, social media and mobile programs, pricing and promotion strategies, advertising review and clearances, and more. She assists clients in developing and substantiating advertising claims, and in challenging competitors’ claims when they appear vulnerable. She works with retailers, manufacturers, distributors, importers, and advertising agencies, across virtually every product and service sector.